I’m off down the coast for the weekend, with a lot of things to be sorted out before leaving; so this Friday’s post will be a round-up post. Lazy? Perhaps. Awesome tunes? Definitely. Rapidly becoming a firm favourite of ours, Patrick Park has once again been treating our ears this week. With this song, “Here We Are“, Patrick Park opens a new door in his songwriting talents; there’s something about this tune that seems more… sophisticated than his past releases. It’s a cracking tune, and is securing Patrick Park’s position as one of the premier songwriters in contemporary music. Jason Schwartzman is a constant as one of my favourite artists, and whenever he releases some solo material it’s cause for excitement. Better known as indie actor (Rushmore, Spin et al), and one-time drummer for “Phantom Planet”, Jason seems to be this never-ending fountain of creativity. His most recent project is “Coconut Music“; the moniker under which he has released a solo-album, entitled “Nighttiming”. 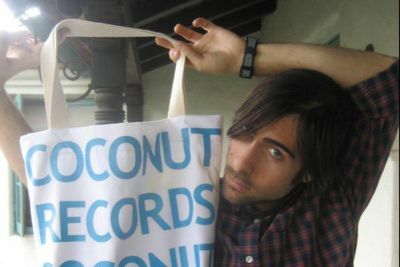 As always with Schwartzman, Coconut Music certainly won’t be for everyone. I hope you give this offering, “West Coast“, a try however, and check out his other tunes on the Coconut Music myspace page. 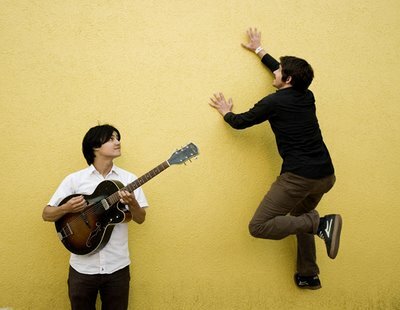 Again, I’m not sure this song will be to everyone’s tastes; The Dodos occupy that uncomfortable ground between acoustic troubadours and freak-folk – much like Animal Collective. That said, this tune, “Fools“, has me interested. The frantic strumming of guitarist and lead singer Meric Long’s guitar, coupled with the steady clicking of drummer Logan Kroeber’s beat makes for a steamroller of a song, unrelenting right up to the very last 30 seconds or so. Take a listen, and let me know what you think. Things I probably should have told you in 2007. Previous Post The Format break up. Sadness ensues.